It looks like this book could be an important companion piece to the book We will Shoot Back, which we earlier discussed. 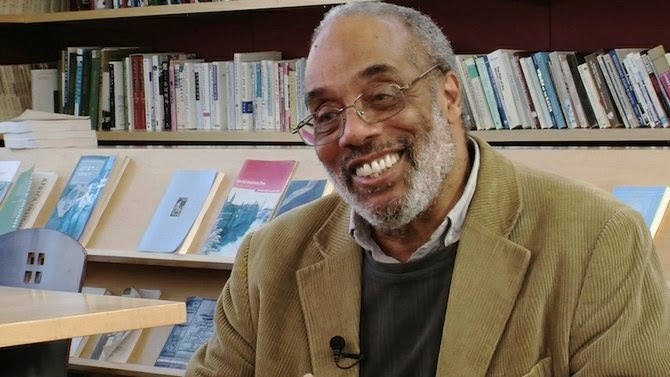 The author, Charles Cobb, is a former SNCC member and on the ground activist who actually participated in the human rights struggles of the sixties and had to deal with the reactionary threats and violence directed at Black people or other supporters who dared to suggest that segregation was wrong, black people were human and that blacks could vote. Cobb was there as were many other people. It is of course instructive to realize as many of the great names have died or lost their way struggling against personal demons, that nothing that the "leaders" accomplished, not one single thing, could have been done without the active support of many more people, of whom Cobb is one. Cobb, who is a journalist, is interested in showing the importance of armed self-defense in helping midwife real American democracy. His argument is that guns made the civil rights movement possible. He is dissatisfied with the idea that Rosa sat down, Martin stood up and white racists saw the light. It is a great frustration of mine that guns and gun culture have become in the American imagination almost exclusively the provenance of right-wing, reactionary and occasionally down right racist politicians, groups or individuals. People constantly forget that a key portion of Southern and for that matter Northern white supremacy was that black people did not, could not and would not defend themselves. And in this culture letting everyone believe that they could hurt you with impunity was not necessarily the best idea. In fact it was a stupid idea. It tended to attract bullies. Cobb describes how black WW2 vets were important in helping to relieve and reverse years of deliberately inculcated fear. Once you've seen that men whom you were told were superior to you can die just like you can, it tends to change your attitude about things. When I was very young, apparently to save money my Dad would drive my Mom and us kids south for summer vacation with my grandparents. We never talked about it as my Dad was not the sort of person one questioned but I do remember him placing a rifle in the trunk and a pistol in the glove box. He never said that he expected trouble but one would have to be reckless to be a black man and drive through some of the states which he did and not be armed. And my Dad was not a reckless man. So this is why I've never had much use for people who are reflexively or dogmatically anti-gun. To me guns are just tools. They are the most effective means of showing someone this far you may go and not one step further. I'm really looking forward to reading this book. Like King, many ostensibly “nonviolent” civil rights activists embraced their constitutional right to selfprotection—yet this crucial dimension of the Afro-American freedom struggle has been long ignored by history. 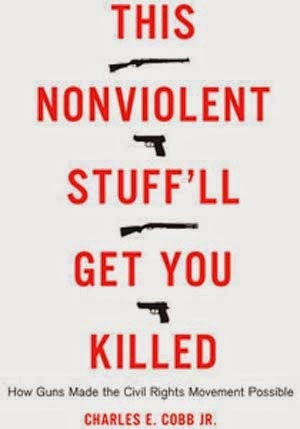 In This Nonviolent Stuff’ll Get You Killed, civil rights scholar Charles E. Cobb Jr. describes the vital role that armed self-defense played in the survival and liberation of black communities in America during the Southern Freedom Movement of the 1960s. In the Deep South, blacks often safeguarded themselves and their loved ones from white supremacist violence by bearing—and, when necessary, using—firearms. In much the same way, Cobb shows, nonviolent civil rights workers received critical support from black gun owners in the regions where they worked. Whether patrolling their neighborhoods, garrisoning their homes, or firing back at attackers, these courageous men and women and the weapons they carried were crucial to the movement’s success. Cobb leads a discussion about his book and shares his experiences in this 90 minute C-SPAN3 video. Congress Rocked: Majority Leader Eric Cantor OUT!